This certainly isn't one of the more well-known computer games from the 80s, but it was definitely one of the most challenging. Watching the video clip from the Atari XL/XE version reminded me of how fascinated I was by the synthesized speech which came through the TV speaker, which was very rare in a video game during the mid eighties. This was quite an achievement, as the RAM was very limited on the 8-bit machines. 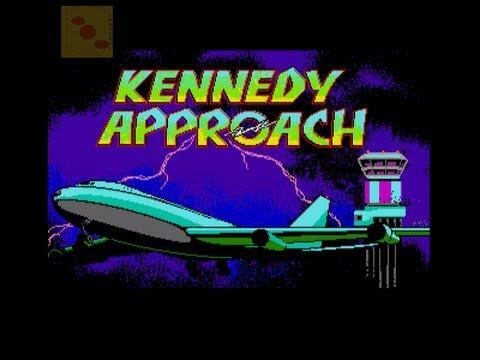 Released in 1985 by Microprose Software for the C64/128 and Atari 8-bits, (it was later released for the Amiga) Kennedy Approach was an air traffic control simulation that required a lot of concentration. However, it was extremely satisfying to play once you had got the hang of it, and very addictive, too! In fact, it was one of my favourite games for my Atari. 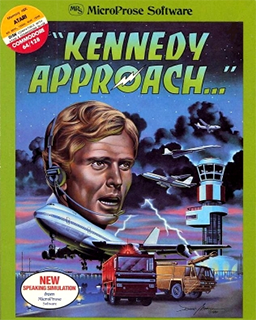 The player had to manage every flight on the screen, ensuring that each aircraft could land and take off without crashing into each other or any mountains or buildings. The planes needed to be set to fly at different altitudes by the player and also set on the correct course. Incoming aircraft would go into a holding pattern until the player gave clearance to land at a specific airport. Just to make things even more difficult, sometimes a storm would appear or an aircraft would be running low on fuel. Overall, there were five airspace maps - Atlanta, Dallas/Fort Worth, Denver, Washington D.C. and New York City - and four airllines. The aeroplanes inlcuded light Cessna planes, Boeing 747's and Concorde. The game was pretty easy to play in the opening levels, with a small number of flights to deal with. 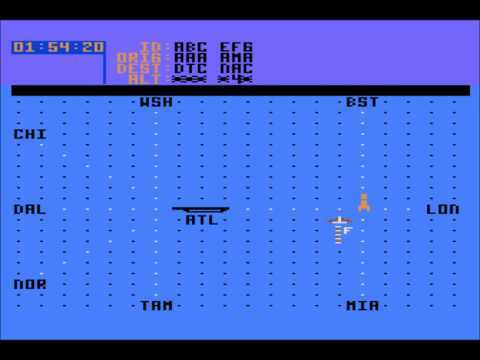 However, the game became progressively harder with more aircraft to control on the screen. I remember spending many hours playing this game, and you really didn't need your Mum to burst in with a cup of coffee while you were concentrating on this one. One lapse of concentration would send Concorde plummeting into the ocean!